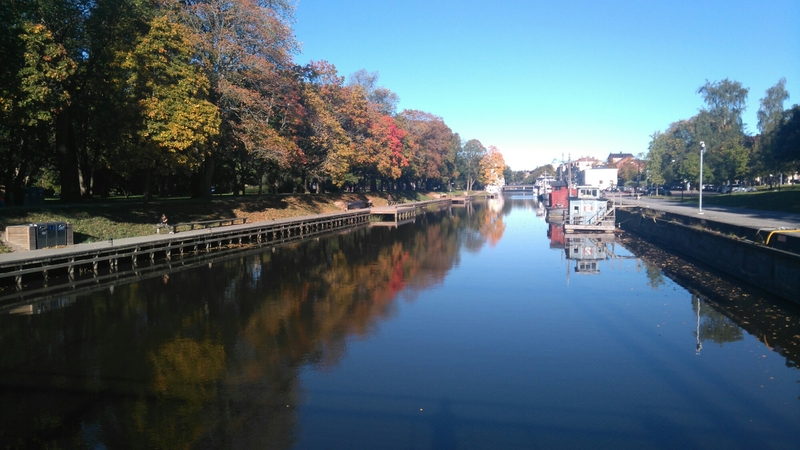 Every year I spent in Sweden, I feel blue during the automn. This is may be a little special with the hormon overdose that my body is producing but it doesn’t help me to make is less blue. I had a pretty awful week (in my point of view,everything is to put in the right reference) and I felt like I just want be home alone witj my man and my belly. People around come with advices and again: I could ask if I wanted some. This morning, I took myself out in the sun. 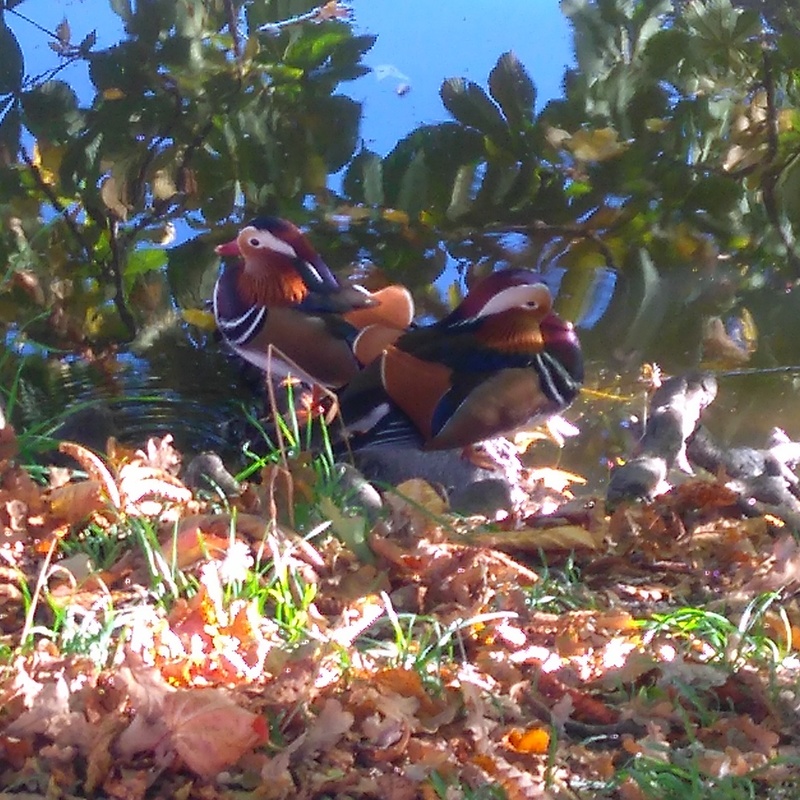 I was alone downtown with retired people and I saw two mandarin ducks sleeping close to the river. I also bought some material to fix our carpet in the living room: we have a hoover robot that loves to eat the carpet’s sides and these need to be fix. And yesterday, when I came back home, it rang at the door. It was flowers. They now “sitting” in one window and every time I look at them, I feel happier. In one hour, I’ve been married for one week to my wonderful husband and this thought gives me strength.